J.D. Power has just released their 2016 North American Airport Satisfaction Study ranking the nation’s airports by customer satisfaction, and New York’s LaGuardia Airport has been bestowed the title of the country’s worst. According to the study—and just about anyone who’s visited LGA in the last few months—construction woes related to Governor Cuomo’s $8 billion plan to transform the hub into a world-class airport by 2020 has led to serious headaches for travelers, and a 6-point drop in overall satisfaction from 2015. 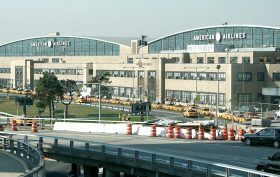 Last year, LGA ranked as the second worst airport in the U.S., just after Newark International.